Jon goes on holiday with Karen to Nepal. 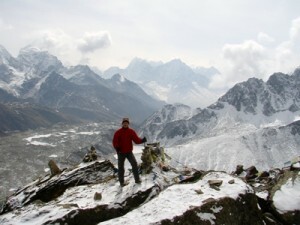 They trek 3 weeks and complete the Everest base camp loop. In the end they walk fast enough so instead of taking a bus back to Kathmandu they hike the majority of the route back through the valley, enjoying the warmer temperatures.